Now that it's dark out, as I look north out of my window, I can see red flames. Earlier today I couldn't. That means that the fire is heading our way. We still have the lake in our way and the Feather River. It would have to come over Table Mountain which is steep rocky terrain. Thankful Lake Oroville is protecting us but will probably wipe out Cherokee and Yankee Hill, heading towards Berry Creek. I heard on the scanner about 30 minutes ago that they were making progress on Skyway. Listening to the scanner there's people with no transportation to get out up in Magalia. At a Subway store they picked up a woman who was pregnant with 3 kids. Buses are headed to K-Mart in Paradise to pick up people who have no transportation. Humidity is 16% - and 64 degrees. Low humidity means hotter fire, it's bone dry out. It's going to be a long night for the fire fighters. Bardou---if worst comes to worst---can you get to the Lake (Oroville)? Just get in a boat and row out onto the water, if you can't get out---and at least escape the fire that way? Facebook - Oroville Live Lots of power lines are down, PG&E trying to clear the roadways and fallen lines. Then the fire turned east. 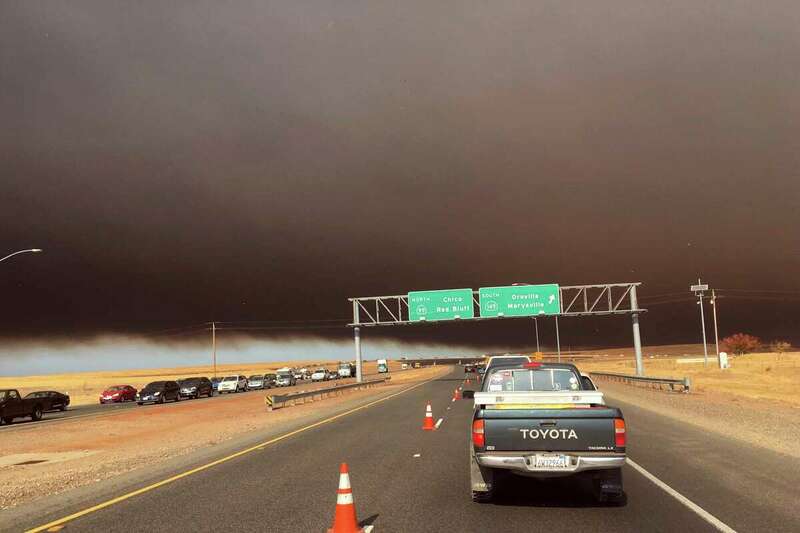 It reached Highway 99 near Neal Road by 7:30 p.m. and was approaching Highway 32 near upper Bidwell Park by 9 p.m. Evacuation orders were issued from Bruce Road east, from East 20th Street to Highway 32 along the east side of Chico, and in the Canyon Oaks subdivision farther north. Homes were reported burning on the lower Skyway near Oak Ridge Drive and Spanish Garden Drive. Last edited by Countrymouse; 11-09-2018 at 01:07 AM. Dear friends 95 year old Mom and 100 year old dad were evacuated at 7 am this morning from the Atria Care home due to the vigilant staff that followed their emergency protocol for wild land fire. Many friends have lost their homes and businesses. At 11:00 pm south and eastern Chico are being evacuated. School is cancelled at Chico State University for Friday. Local to us Tribal Wild Land Fire Crews headed south at 6:30 pm to assist. The covered Bridge at Honey Run on Butte Creek is burned down. My family spent many a hot summer day there picnicking and tubing on the creek. I got my first kiss there back in the day, oh so long ago. My Facebook news feed shows the devastation. There are unconfirmed reports of major loss of life in Paradise. It is freaking November and Red Flag warnings through next week. 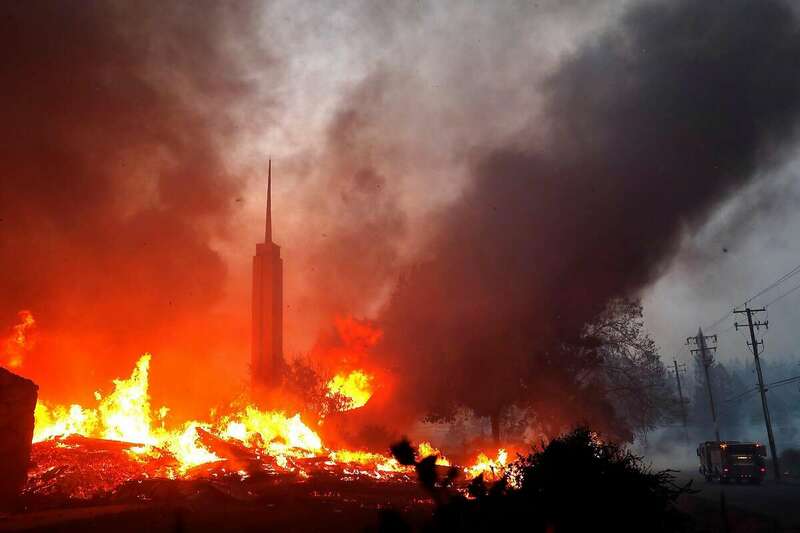 Prayers are needed for the tens of thousands of evacuees and the fire fighting folks. Siskiyoumom thank you for the update (and Shadowman) confirms what is on my twitter feed - I am so glad you parents were evacuated I was so worried about the care homes I visited with the Paradise Choraliers to watch them sing (and my friend direct); my friends wife posted video saying town is 95 percent gone. I am in tears, and it isn't over; friend's wife is trying to figure out how to get to her elderly husband (they joke about the May-December marriage she's in her 40's but he is in his 80's) - I think she is in Fresno, probably not safe way to Oroville right now. 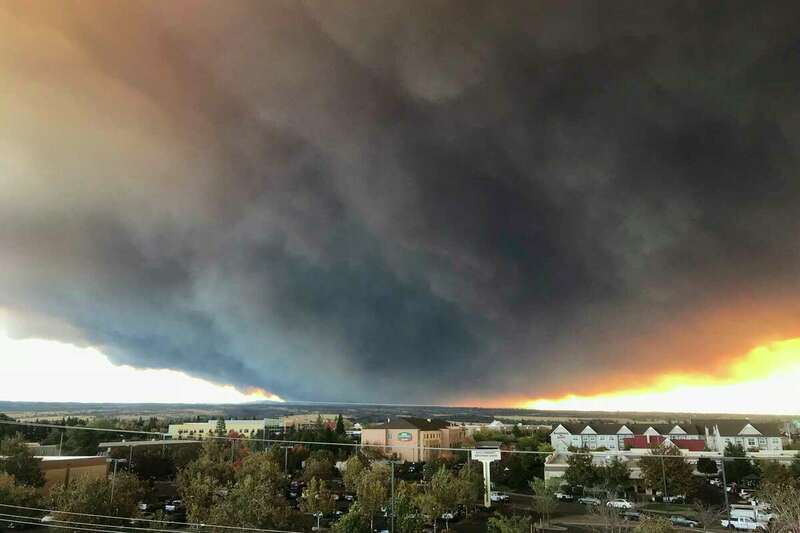 Evacuation warnings are now being issued up to Chico city limits in some areas, the Butte County Sheriff's Office announced tonight on Twitter. Chico is where my family and I live - and it’s possible the fire may strike Chico next. In town there is an Influx of traffic, Gas stations are jammed, tensions are high. I wouldn’t want to be living in this city if a solar flare struck seeing how people in public are reacting right now. Fire now burning on both sides of Highway 191. 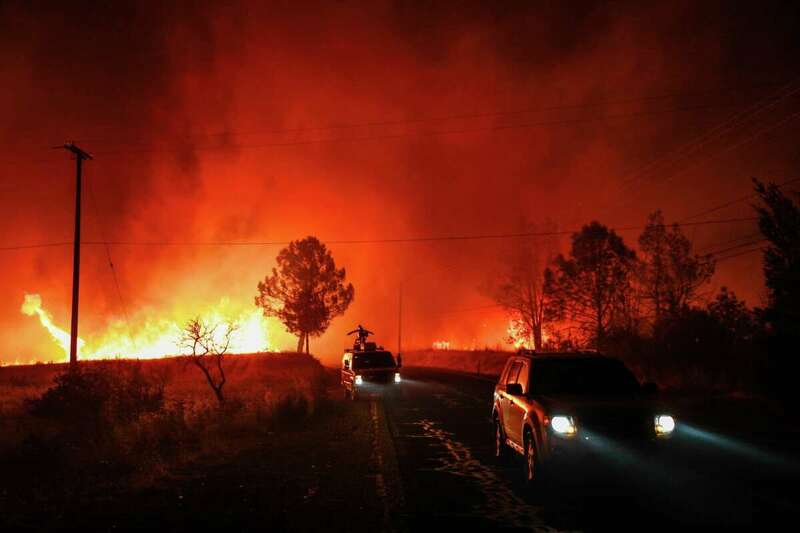 “Potentially the city of Chico is threatened by the fire. 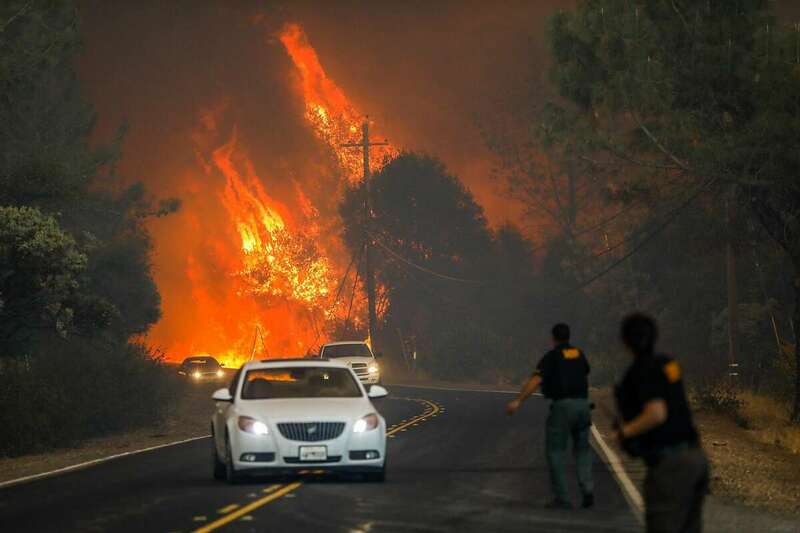 It just depends on how much containment we get," Darren Read of Cal Fire in Butte County said. But Read said it wasn't a big likelihood. However someone just knocked on my door who’s father worked for the fire department to put us on alert that the fire may make its way to my home. I don’t know how likely that really is but the neighboring town of Paradise just burnt to a crisp. X's hospital where she receives treatment for her hyper thyroid / Graves’ disease condition has burned down. I think our home will be okay though. Positive energy. Paradise is destroyed. I was just in paradise taking part in a sweat lodge ceremony. It was such a beautiful town, it deserved the name, Paradise. Now Gone. I feel Heartbroken for all these ppl who are losing their homes during the holiday season. Families. Children. Elderly. Lives have already been claimed they just don’t have a count yet. Not in the town and city limits, but vary near and now on fire is stands of neglected and mis managed forested old growth pine trees. Looking at the pics, one can see brown topped dead and dieing tree stands, from drought and pine beetles, but mostly old age natural dieing trees. These types of forest need to be clear cut every 20 to 40 years, and replanted to keep the forest healthy, after 40 years the natural way for the forest to get healthy again is to BURN. So the spotted owls, yellow legged frog, etc. killed the logging industries in that area, so will fire kill the rest of any other industry/businesses in that area. 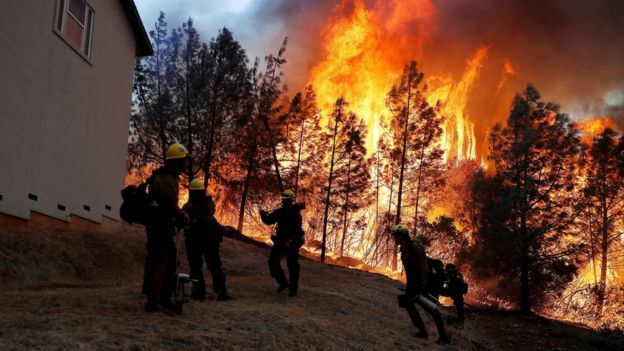 he Camp Fire had burned through 20,000 acres as of Thursday afternoon, local time, according to California Fire officials. OK decision made to wait until Monday for possible recuse - both her husband and the elderly friend can still drive - he drove himself out, just not any more than he has to these days. Mandatory and voluntary evacuations were underway Thursday evening near the border of Ventura and Los Angeles counties after two separate brush fires erupted within miles of each other. In Santa Rosa, the so-called Hill Fire burned 10,000 acres and prompted mandatory evacuation orders for Camarillo Springs, the Vallecito Trailer Park, the campus of Cal State University Channel Islands, and the neighborhood of Dos Vientos. Shortly before 8:30 p.m., the commanding officer at the Point Mugu Naval Base issued a mandatory evacuation of the facility. The 101 Freeway was closed in both directions between Borchard Road and Pleasant Valley Road. – South of the 101 Freeway to Mulholland Highway, west of Las Virgenes Rd. to Westlake Blvd. Anyone heard from Bardou? Her postings were ominous. Not from her directly but the Chico TV station feed is showing a fire above but NOT IN Oroville - no one is being evacuated from the town at this point, my friends are staying put for now but can drive. If I hear anything on the news or facebook I will post - is about 5am in the area so Bardou maybe sleeping (I hope she gets some rest). I've been thinking about this pretty much since the fire was first reported. It would be pretty hard to bring murder charges, since so many individuals and agencies are responsible, but it may add fuel to the flames of the secession movement. This is one of those threads you really don't want to look at, but you have to. this fire is in southern CA (not related to the one in Paradise) just in case anyone reading is confused. is there a separate thread for it or are we reporting on both fires here? I have several coworkers and a boss who live in Calabasas. one coworker who lives in westlake village left work early yesterday because the fire cut off the 101 freeway which is her way home. i am just waking up and what James Woods is doing to help people via twitter is amazing. God bless that man! i am praying for all affected by both the fire(s) in Northern cA and here in so Cal. The forests don't need "clear cutting" even normal fires don't destroy everything especially not the redwoods (modern firestorms do but only because they now burn too hot) but CLEARING needs to happen when the fires don't, that and clearing out saplings and younger trees that create issues. A middle ground between the old "cut down everything" that used to happen and today's "don't cut anything." PARADISE, Calif. (Reuters) - Three fast-moving wildfires burned in California on Friday morning, including one that spurred the evacuation of 75,000 homes near a city that was still reeling from a mass shooting. Clear cutting works. I seen it worked and helped planted thousands of saplings, that I seen grow around 100 feet tall in just 25 years. I seen it with my own eyes. Red fir and white fir. And All of the clear cuts I seen in the 1980s not all trees was cut down, they left many trees and even small stands alone in areas where water erosion near drainage, creeks and what not. Also many young hardwoods where left in the cuts. I'm not a professional forest manager, but I saw them do it and do it right. In 1997 the PNW had more healthier forest than ever, the same year there was also huge rains, the same year was also when many logging sales where stopped for a stupid owl. Last edited by West; 11-09-2018 at 08:59 AM. All trees grow old and die. In most forest (PNW) the natural way is in about 100 years the forest grows then catches fire and burns so hot, brush is all that grows for another 100 years, then 100 years later the forest comes back with the help of birds and tree rats, etc.. In the PNW, the loggers had it figured out to a clear cutting every 20- 50 years. Did you click on Gigi's twitter above ^^^^^^ and look at her pictures? Holy cow. They're clogging the roads trying to evac Thousand Oaks. 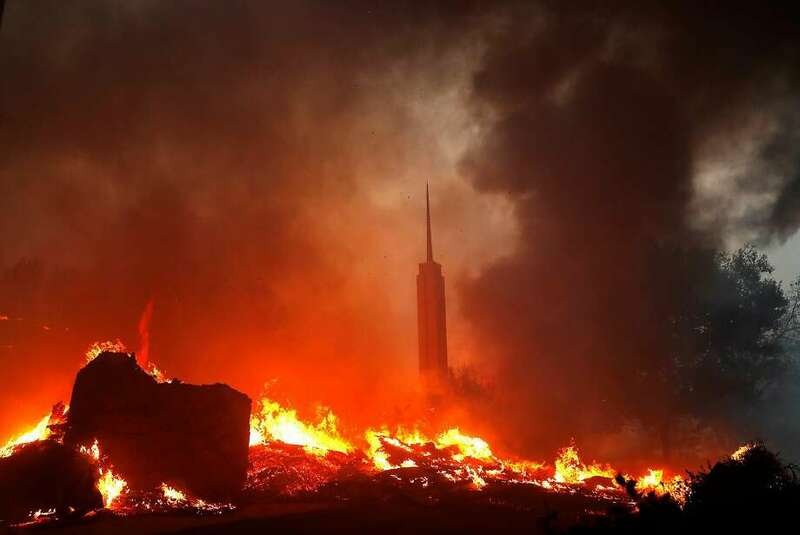 #Breaking: Evacuations have been ordered on the edges of the Northern California city of #Chico, not far from Paradise where thousands of buildings were destroyed by a fast-moving wildfire. Agree it's hard to see the area one was born and raised in, go up in flames. I can now smell smoke inside my place, all the windows are closed by the way and the haze outside is pretty bad. Prayers for all of our board members that are in the path of this fire. Can't stop crying... I went to school there... so much I loved about Paradise.. this is unbelievable.. I said the same thing to my husband this morning (that some of this may be intentional) I know Catherine Austin Fitz has been wondering about this for a few months now. The fire has jumped the 101 and #Malibu being evacuated. Zuma beach for your animals. And just to clarify further, the Santa Rosa here isn't the town in N. Cal that had the devastating fire, it's Santa Rosa Valley in So. Cal, but they are sometimes leaving off the Valley.